Counselling costs $20 per session, payable in advance. To see a counsellor, please contact us. We have counsellors who specialise in Marriage, Teen Counselling, as well as Trauma, Abuse, Family and Grief Counselling. Clients’ confidentiality is strictly guarded by the terms of our Informed Consent contract with them. Our counselling is client-centred and we follow a model in which the counsellor walks alongside the client, exploring options and broadening the client’s view of his problems, in order to reach workable solutions. Each counsellor has a Supervisor who helps guide the process towards growth and restoration. The Child Counselling Department at the Christian Counselling Centre was started by Di Smart in 2001. It has helped hundreds of children overcome difficulties like bullying, divorce of parents, sexual abuse, anxiety, trauma, stealing, bed-wetting etc. The Play Room is equipped with toys, sand-pit, painting, crayons, play-dough as well as counselling ‘games’, like The Grief Game. The Child Counsellors are trained as regular counsellors and then undergo our special training programme to qualify as child counsellors. Children are brought by their parents to the first session and the counsellor has a session with them to explain how the counselling will work. The child’s right to confidentiality is respected just as with adult clients. It is a delight to see children often running to the Play Room, so eager are they for their sessions. They are our most vulnerable and precious clients and we count it a great privilege to be able to help them as they wrestle with different issues in their lives. We endeavour to give them tools to cope with the situations in which they find themselves. This is an introduction to Christian Counselling and Pastoral Care and is designed to equip anyone with skills to help friends, colleagues or family members. This course is open to selected individuals and is run over two school terms – usually January to August, with a break half way for the school holidays. The Advanced Course concentrates on the 5 Circles Model (an adaptation of Waverley Abbey’s Model of Counselling). This course takes counselling to a deeper level and covers a wide range of problem areas. 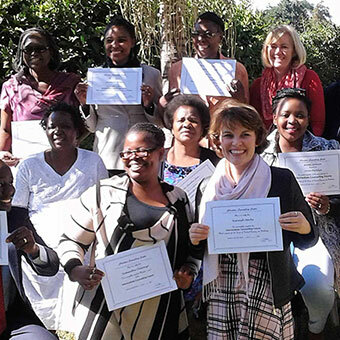 For more details on our Counsellor Training Programmes please click here. 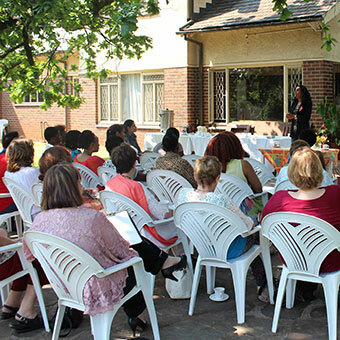 Our Events Management Team manages the events at the Christian Counselling Centre. They design the courses, seminars, workshops and breakfast meetings which are held at the Counselling Centre every term. 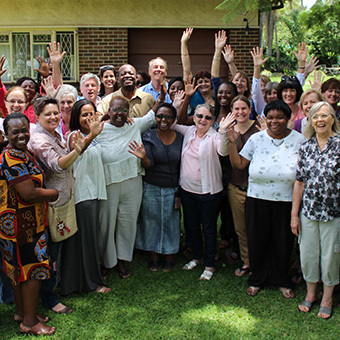 The team is also responsible for the hire of the Counselling Centre’s facilities for team building, workshops, board meetings, men and women’s fellowship and church family days. The Cottage coffee shop is also available for Church Breakfast meetings, Ladies Teas and Bridal and Baby Showers. For more information kindly email the team on hccc@mweb.co.zw. The newly completed Training Centre is available for hire. This comprises a 100-seater Hall. All or half day packages, with catering are available for Church retreats, Business conferences, Baby showers, Men’s Breakfasts, etc. Contact us for more details.